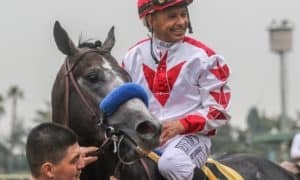 The 3rd annual Pegasus World Cup is set for this Saturday at Gulfstream Park, while once again attracting a full field of 12 horses. This year, the purse has been cut down to $9,000,000, with the addition of the $7,000,000 Pegasus World Cup Turf. 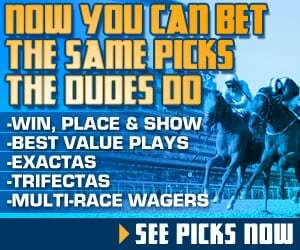 Still North America’s richest race, the Pegasus World Cup will be the feature event on a loaded Gulfstream Park card that features 9 stakes races in total. First-race post time Saturday is set for 11:30 a.m., while the Pegasus World Cup will be contested at 5:40 PM ET. For the third straight year the Breeders’ Cup Classic winner will headline the field. The question now becomes: Can Accelerate become the third straight Breeders’ Cup Classic winner to also win this race? The newly turned 6-year-old had a fantastic 2018 season, which saw him challenge a Triple Crown winner for Horse of the Year. The Pegasus World Cup will be Accelerate’s last race, as he moves on to Lane’s End Farm for stud duties to start his next career. Trainer John Sadler is feeling sentimental heading into the race. The major challenger for Accelerate will be City of Light, who is the only horse to beat Accelerate in 2018. That win came in the Grade 2 Oaklawn Handicap, which was contested at the same distance as the Pegasus World Cup. City of Light recently destroyed the field in the Grade 1 Breeders’ Cup Dirt Mile last time out, setting up a “Battle of the Breeders’ Cup winners” in this race. Like Accelerate, this will also be City of Light’s last career race, as he too heads to Lane’s End Farm after this contest. The horse all the locals will be rooting for is Gunnevera, who was third in the 2018 running of the Pegasus World Cup. This late-running closer has been doing his thing for years now, hitting the board in some of the biggest races on the racing calendar. 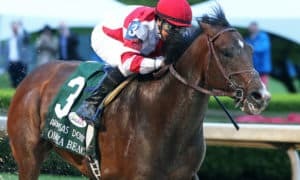 He is coming off of a runner-up performance in the Grade 1 Breeders’ Cup Classic, where he closed late to just get past Yoshida in the final stages of the race. Trainer Antonio Sano seems very excited with his horse coming into this ultra-tough event. The full field for the third annual Pegasus World Cup includes: Bravazo, Something Awesome, City of Light, Seeking the Soul, Accelerate, Tom’s D’Etat, True Timber, Gunnevera, Kukulkan, Audible, Imperative, and Patternrecognition. 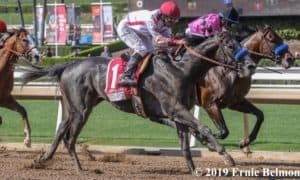 #3 City of Light – Last year City of Light kicked off his season sprinting, winning the Grade 1 Triple Bend Stakes in dominating fashion at Santa Anita. 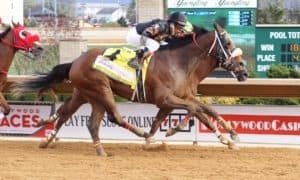 After that win, he stretched to 1 1/8 miles in the Grade 2 Oaklawn Handicap, where he once again won, beating fellow rival Accelerate. 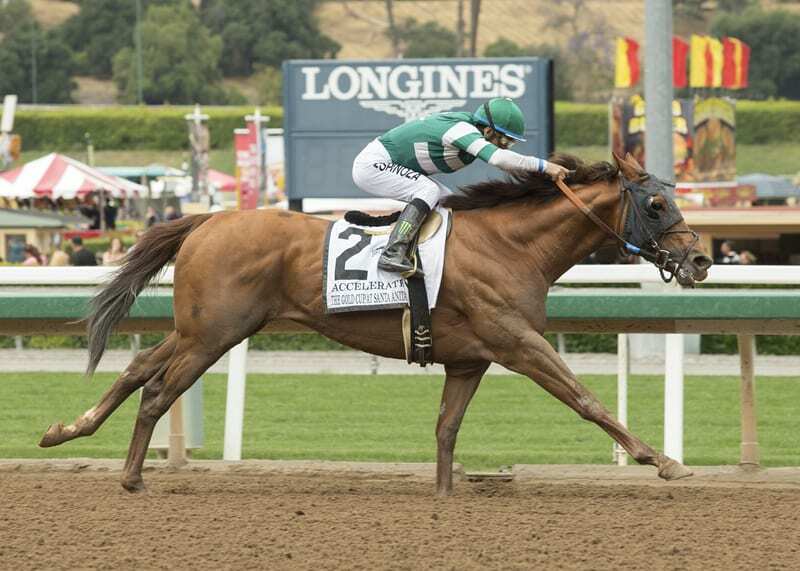 The John Sadler trained Accelerate did get revenge in their next match up, which came in the Grade 1 Santa Anita Gold Cup. 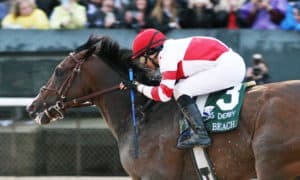 After a terrible trip saw City of Light get second in the Grade 1 Forego, he rebounded in a major way, winning the Grade 1 Breeders’ Cup Dirt Mile by several lengths. That race showed that the horse is in excellent form, and the win over Accelerate at this distance in 2018 has me leaning ever so slightly towards him in this spot. City of Light vs. Accelerate round 3 will be fun to watch! #5 Accelerate – The 2018 Older Male of the Year will call it a career with one last race, much like Gun Runner did last year in this spot. 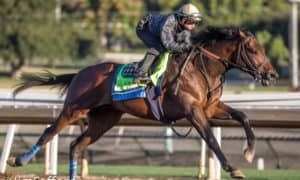 The Breeders’ Cup Classic winner has won the first two runnings of this race, while Accelerate has been installed the morning line favorite for this year’s running at 9-5. He should be a very strong candidate to pull it off; however, he must beat an old rival, who handed him his only defeat last season. Plus, Accelerate has been flawless through a lot of races in a row, and simply might be due for a bit of an off performance. He certainly has to be played on your tickets, though, as there is no doubt he is the star horse in the field. #8 Gunnevera – This is the horse I would love to own. Gunnevera just consistently picks up checks in the biggest races on the calendar each year. He is as honest as they come, dropping to the back early, then running late to pick up the pieces and hit the board. Last year he was a distant third in this race, while also finishing second last time out in the Breeders’ Cup Classic. This year, the field is a bit easier, which gives him an outside shot of winning, but he is much more likely to clunk up late for second or third. #1 Bravazo – It took 3 years, but Hall of Fame trainer D Wayne Lukas has arrived at the Pegasus World Cup. The Coach has won every big race there is, so why not try to add this one to the list. He brings in a horse who is as honest as they come; however, there is no denying that he has had all kinds of problems winning. 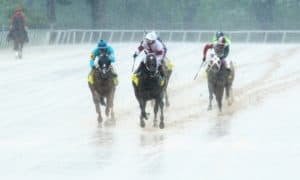 It is amazing to think that Bravazo ended up being the only horse to come close to defeating Justify, when he nearly caught him in the Grade 1 Preakness Stakes, which would have ruined a Triple Crown. Bravazo can make some noise in this spot, too, but hitting the board is his ceiling. #4 Seeking the Soul – This just seems to be a grind it out type that can always hit the board, no matter where you run him. He is no threat to win when it comes to a race like this; however, Dallas Stewart is always a dangerous trainer for the underneath positions. He will come with a run in at the end, along with Gunnevera, it will just come down to which one finishes strongest. #10 Audible – There is no doubt this horse is tough to get a read on after his flat performance last time out in the Grade 3 Harlan’s Holiday Stakes, where he lost as a heavy favorite. Before that race, he was considered a big threat in this spot, so we will see if he can rebound back to his better form. Last year, after winning the Grade 1 Florida Derby at Gulfstream, he was then a fast closing third in the Grade 1 Kentucky Derby. 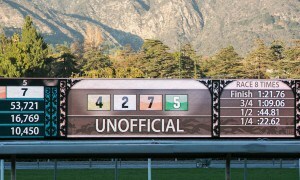 After a long break, he returned on Breeders’ Cup Saturday to win a small stakes in impressive fashion. If the “good” Audible shows up, he is not without a chance. #12 Patternrecognition – This Chad Brown horse is rapidly improving, and was set to be one of our “party crashers,” until he drew the far outside post position. Yes, I know Gun Runner won from this spot last year, but this is not Gun Runner. This is a horrible draw for a horse that had an outside shot if things went perfectly. He will need to get extremely lucky with his trip to have a chance. #11 Imperative – Loooch Racing is no stranger to taking shots at big races, which is exactly what he’ll do with this hard-knocking horse. Imperative has earned nearly $3M throughout his career, while winning the Grade 2 Charles Town Classic in 2017. You can except him to show up with a big effort; however, he just might not be talented enough to make much of an impact. 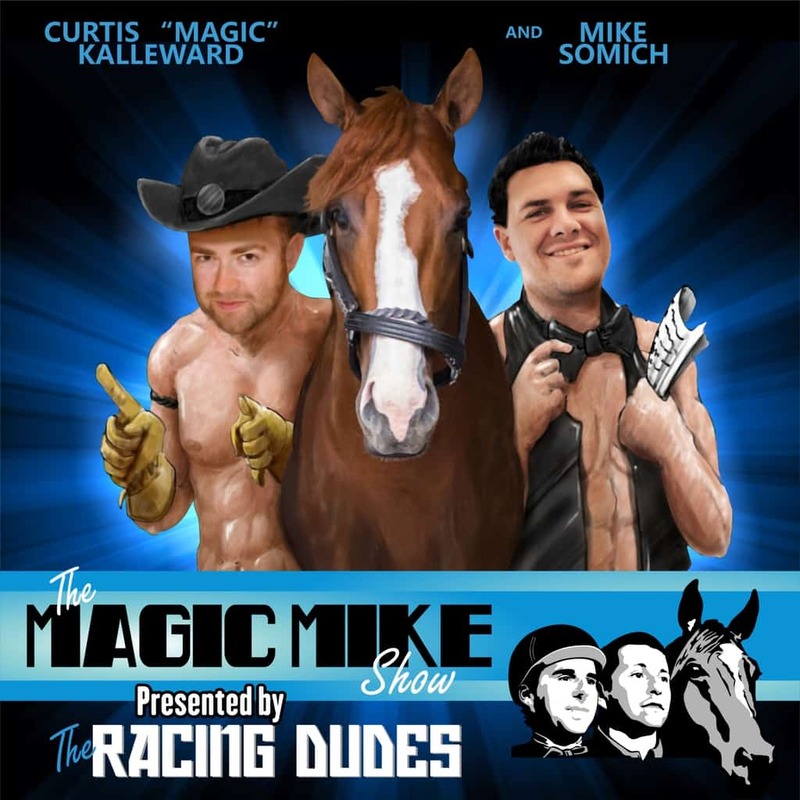 #2 Something Awesome – The home town silks will be worn by Something Awesome, who has certainly had some great moments in the past. He won the Grade 2 Charles Town Classic last season, while also taking home the Grade 3 General George Stakes. The biggest problem today will be the level of competition, as he has never proven he can compete against the world’s best. #9 Kukulkan – This year the race will feature a Triple Crown winner! 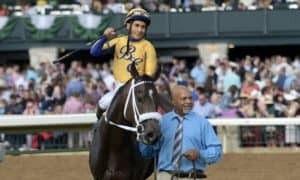 No, it’s not the Triple Crown winner we all wanted to see; however, it is always exciting when an undefeated horse is in the race. Kukulkan is a perfect 14 for 14, while winning the Mexican Triple Crown, and also shipping to Gulfstream Park last time out to win the $300,000 Clasico del Caribe. This will be a major step up in class for him, though, as he will need to improve several lengths. #6 Tom’s D’Etat – He will be making his Grade 1 debut in what is arguably one of the toughest races of the year. However, the 6-year-old has won four straight races coming into this event, which gives him some momentum. Still, this looks to be a very difficult spot for him.